These days, major retailers are partnering with the biggest names in the credit card industry. While it’s not necessarily a new business model, it is a growing trend. The reason is to build customer loyalty while also offering consumers new ways of shopping and saving. Most recently, Mercedes Benz announced it would be partnering with American Express. It will offer all of the amenities consumers have come to trust from AmEx, but it will also offer bonus money rewards for those who lease or buy Mercedes Benz. The card’s not ready for release, though the two companies plan to officially unveil it in time for the upcoming holiday season. Here are a few more co-branded credit card options that prove this model can be successful for both consumers and the companies. For those who find themselves traveling often, the Marriott and Visa team is like a match made in heaven. These credit card allows consumers to earn 22,500 bonus points with their first purchase. In fact, new customers will also receive an e-certificate that can be redeemed for up to four nights. Also, all of the purchases made to Marriott will earn the user 3 points per dollar spent and 1 point for every dollar spent on all other purchases. The first year’s annual fee is waived, saving your $30 upfront. 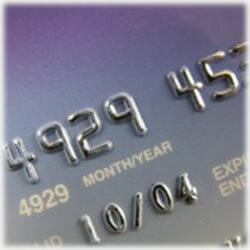 This credit card offer has consistently ranked high with consumers. It might be because you earn a free flight with your first purchase or it could be the 3,000 additional points that are applied to your credit card account every time your anniversary rolls around. Card holders earn double points for every dollar spent when you book with Southwestern Airlines and one point per dollar spent on everything else. Plus, there are no charge fees should you cancel or rebook a flight. There is a $69 annual fee associated with this Visa product, though many say the rewards and perks are worth the fee. Another travel credit card offer, this Visa allows consumers to earn up to 40,000 miles in the first year while also allowing free first-bag checks on both Continental and United flights. No worries about your miles expiring and you’ll earn two miles for every dollar spent on airline tickets for those two carriers. You’ll also be surprised at how easily you can upgrade your flights. Redeem your points for hotels, retail and grocery shopping, round trip flights and even car rentals. This offer does have an annual fee, however. For those who travel internationally, the British Airways Visa is definitely an offer you’ll want to consider. This card has many perks, including Travel Together Tickets for Two, which makes for an affordable way to travel. Also, there are no foreign transactions fees as well as premium benefits, bonus miles and special offers. There is an annual fee associated with this credit card, though the freedom it offers and the ease of earning additional points makes it a savvy choice. Discover is known for its promotions and this time, it’s partnered with Restaurant.com to offer card holders a unique opportunity. For a limited time, when you apply for and are approved for the Discover Open Road credit card, you’ll received a complimentary $150 Restaurant.com gift card. You can keep it for yourself or give it as a gift. You’ll also appreciate the absence of an annual fee as well as no rewards redemption fees. Also, the bonus points categories rotate every three months, which allows for great savings throughout the year. Enjoy online account access, double cash rebates at participating merchants and the ability to transfer your balances. Of course, these are just a few of the many co-branded credit cards on the market today. You can expect to see more of these partnerships as companies continue to look for ways to sway – and then keep – new customers. Just be sure to choose wisely; you don’t want to apply for a card that offers rewards units for something you’ll never use.